The world of GPS watches is a veritable sweet shop of technology, style and form. After excitement for the Apple Watch began to subside a few years back, I was still phased as to why I would want to have an irritating notifications wristband competing for my attention over my equally attention-seeking phone. What I need is an independent system that has features that could be used for outdoor photography - a compass and a GPS tracker would be a great place to start. A few more day-to-day things like a step counter would be good; perhaps the mandatory stopwatch and a countdown timer wouldn’t go amiss. The principle was to stop me finally have some data on my wrist to stop me using my phone for absolutely everything. Coincidentally, my virtual younger ‘brother’ and fitness guru Andy Habin introduced me to the Suunto range of watches. After a short trip around the operating system I could see that his Traverse Alpha was going to work remarkably well for me too, both as a fitness watch and also as a photography aid. Not only were the features above present and correct, but the results were highly accurate. After we completed a nine mile round trip to High Willhays on Dartmoor, we sat and looked at the trip data on a computer, which was very interesting indeed. This watch clearly extends the beyond a standard fitness watch and crosses into the world of the outdoor adventurer. 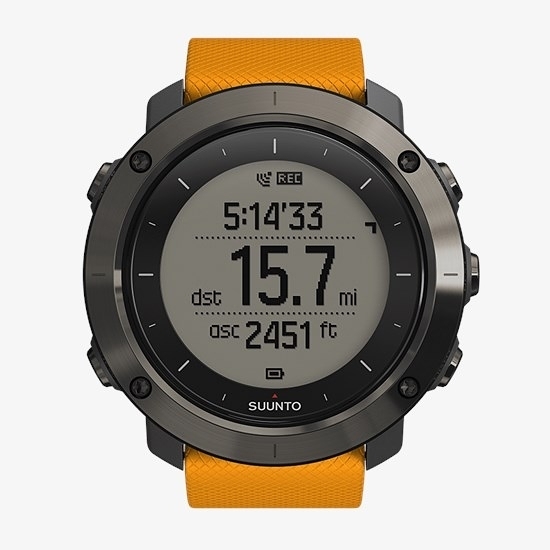 So to cut to the chase - I bought a Suunto Traverse. It cost a little over £200 on Amazon and I think it has been more than worth the money. Here’s some interesting points about the watch and how it works for me. I won’t bury you with a functionality review - that’s what Youtube is for. 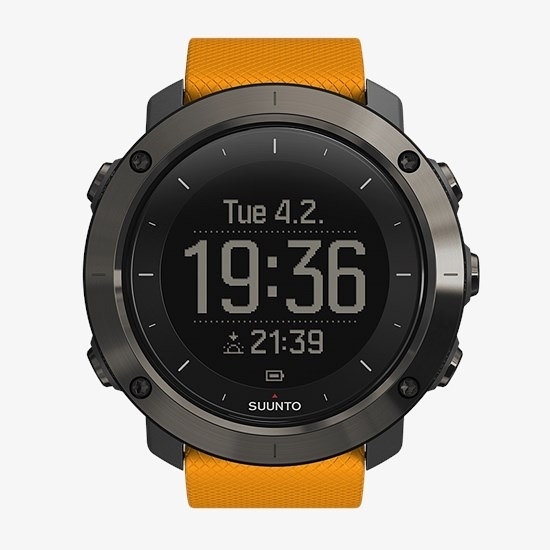 I bought the Suunto Traverse with an silicon Amber strap, which is so comfortable. It’s a big, bold statement, but not too big, yet stylish and modern. It doesn’t look like a ‘fitness watch’, which are often black and plasticky - it looks more military if anything. The glass screen is made of sapphire crystal glass, 8 months without a scratch. It has a mono LCD display, with detailed enough resolution, but it could be slightly higher. The display is easy to read, the five buttons are easy to press, sometimes feel a little unresponsive. It has a flashlight mode. It has GPS, which is extremely accurate, within a meter or so. It has an Altimeter, a Barometer, Temperature gauge, Compass, Stopwatch, Countdown, Step Counter and it even tells the time. It can tell you sunrise and sunset times for your precise GPS location - this is incredibly accurate to your current location and matches my other phone apps, like TPE or Photopills. With minimal use, without using the GPS, the watch can last up to two weeks without a charge. Displays are cleverly designed and can be modified to show two items at once, like the time and step counter, or pressure and altitude. The settings are extensive for a geek like me, but I admit this can be a little confusing at first and even now remains slightly confusing. Suunto watches link to a Movescount App / Suunto App on Android and Apple, where you can download your GPS logs. The logs are called Moves. The Apps sync to a user account. You can then see your information on a computer and analyse your journeys with greater detail which is utterly fascinating. You can plan journeys and routes on a computer and download them to the watch, to follow. Points of Interest can be logged. The watch can receive your phone notifications via Bluetooth if you must, but they are truncated (I leave it all off) - just remember its not a smart watch. For photography, the main uses are GPS, the compass for approximate sunrise and sunset directions, and the fabulous sunrise and sunset time data. So after a few months living with the watch, I began using it exclusively as a step counter, with occasional use of the other features. In Namibia, I used the compass and observed the sunrise / sunset times on a daily basis, so I could fully orientate myself in an unfamiliar land and this proved highly valuable. It is this data that classifies the Traverse as a true outdoor watch. When I got home, I resurrected my old Orange mountain bike and thought I would start to use the GPS to document my rides. Hold one of the buttons, the watch goes into recording mode, waits for a GPS position and then vibrates to let you know that recording has begun. Just a few local rides was all it took to get fixated with this fabulous data source, which is easy to see on the Movescount App and the Movescount webpage. 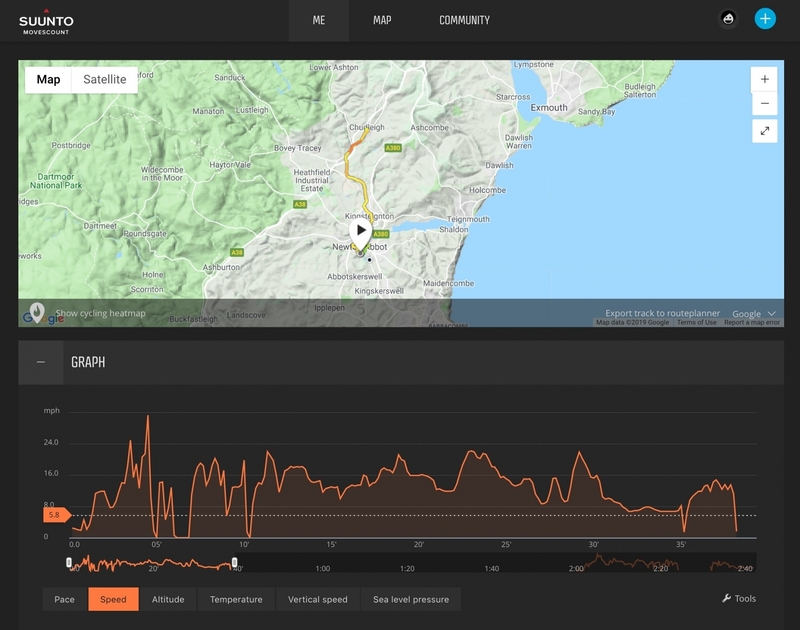 The GPS is extremely accurate for a watch, even showing which side of the road I am riding and this is accompanied by additional data like altitude, speed and pace, which I find equally as interesting. Over Christmas, I spent an entire day walking around Petra in Jordan, setting the GPS running at 8am. It recorded the entire experience accurately, even though I spent most of the day walking in gaps in the rocks, until it finally ran out of charge at 7pm, just a quarter of a mile short of my destination. Even when the watch runs out of charge, it saves the Move and then drops into a power saving mode, displaying the time only. I managed 23000 steps that day and a whopping 9.7miles, walking continually for nearly 11 hours. Here’s a testimony to it’s build - Andy couldn’t find his watch last week and then found that it was subjected to an hour long waterproofing test at 60º with his washing load. Convinced he had destroyed it, the watch was perfectly fine and continues to work flawlessly. Another point worth noting, is that the temperature gauge is wildly inaccurate whilst on your wrist. If you do want to get a better reading then take the watch off and wrap it over the sleeve of your jacket. The Suunto Traverse has become an ally in the both my photography pursuits and my own amateur fitness goals. I thoroughly enjoy tracking my all my missions and I particularly enjoy the information I get from riding my new Specialized Sirrus X. 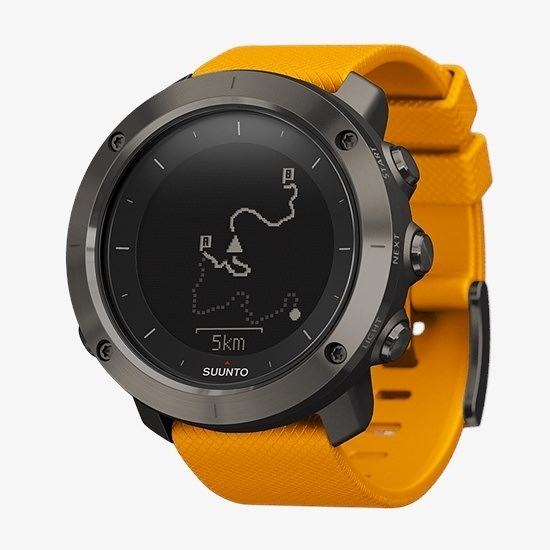 The watch works well in unison with the Movescount app / web support, but sadly the newly launched Suunto App, an eventual replacement for Movescount, seems centred around its community, comments and Facebook connectivity than the user experience and data evaluation. Let’s hope this changes for the better, but for now, the Movescount app works perfectly well. The Suunto Traverse is a superb GPS watch. Fundamentally it's comfortable to wear, it’s OS is stable and it has a great crossover for the photographer and outdoor enthusiast. Hosting a wealth of useful features for the photographer, it crosses over to those requiring a link to their online world with a few smart watch extras. Just remember when considering the Suunto, despite being extremely smart, it’s not a ‘smart watch’.